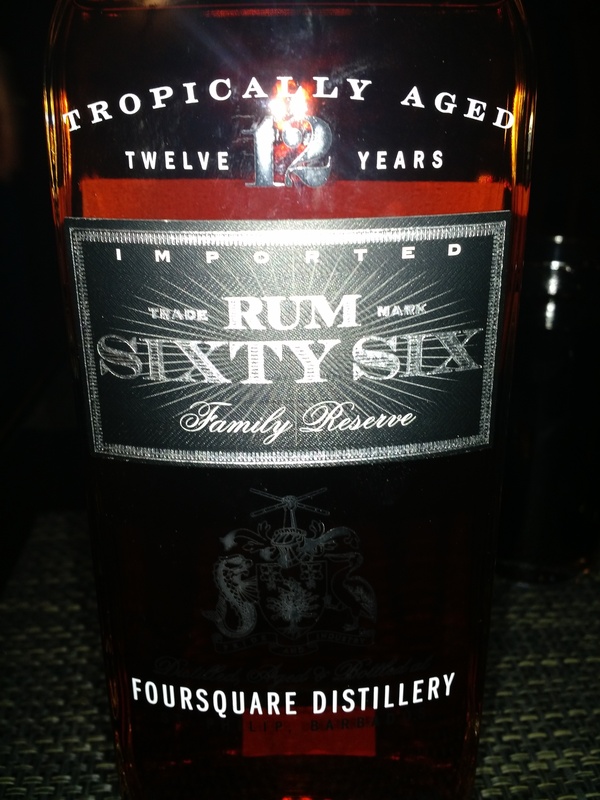 Have you found an online vendor selling Rum SixtySix Family Reserve? On the complex nose i pick up notes of molasses, chocolate, orange, vanilla, coffee, oak and banana. It open's up real nicely after breathing for a while. On the medium bodied, oily palette I find rounded oak, juicy orange and baking spices. It's refined quality rum, but with a little bite at the same time. The balance is just spot on. The finish is medium long with nice, slightly dry and warming tingles, perhaps imparted by the last 4 years of maturation spent in former Jack Daniel's barrel's. Simply one of my favorite rums. Foursquare know's their stuff. Had a chance to sample this excellent Bajan offering from RL Seale, who should be appointed President of Rum or something. King, maybe. Anyway, this is a masterful blend of column and pot still rums which result in a superbly smooth and full-bodied drink which has a little funk and spice in the finish. It is not sweet, so if you're a fan of sugared rums you'll hate this. I love it straight up. Very tasty indeed. Good, nice oakey adventure. healthy level of foliage and a decent underbrush make for a quality tasting experience. I actually thought this run was better with a little coke. It helped open the flavors and the spice gave it a nice touch. I quite complex rum that tastes vanilla and chocolate but also a little bit spicy. There’s quite lot of pricewhorty rums from Barbados, and this is one of them. A classic bajan rum. All around is a good rum but not compare to Foursquare. A very pleasant surprise. I hadn't heard of this before, and by chance ordered a bottle along with some regular favourites. It turned out to be a very nice rum, recommended! 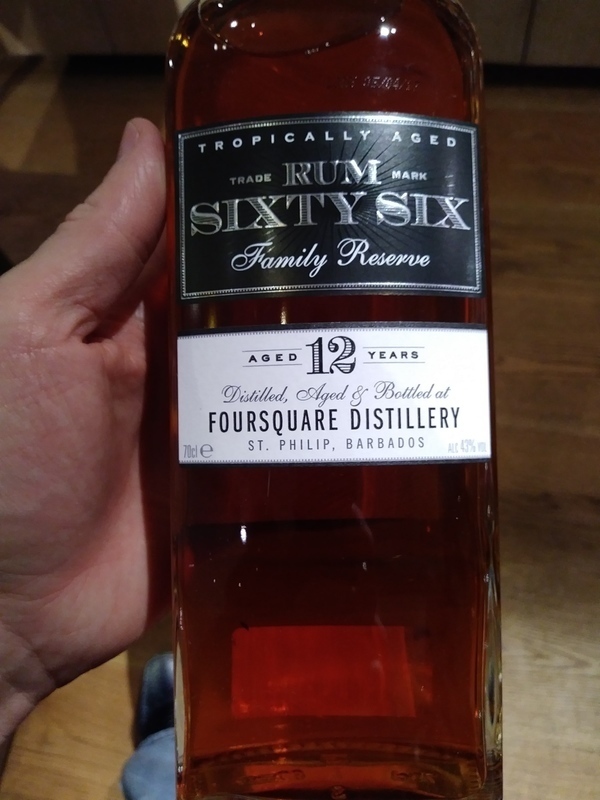 Tried the Rum Sixty Six 12y and I have to say this is marginally better than the Doorly's 12y coming from the same region. Sixty Six 12y has a very nice deep dark color. Unfortunately the smell and the taste test is easily forgettable. Not bad rum in general terms, but easily sits in the middle at a score of 5. Typical Foursquare rum, "pure" rum without added sugar or other junk. Very tasty, bit dry end of the spectrum. Different than other Foursquare offerings, yet recognisable quality. 12 jaar op kleine wit eikenhouten vaten en dat proef je. A good rum, but not one that I would rush back and buy again. Suspect that has more to do with not as a whole being the greatest fan of Barbados rums. 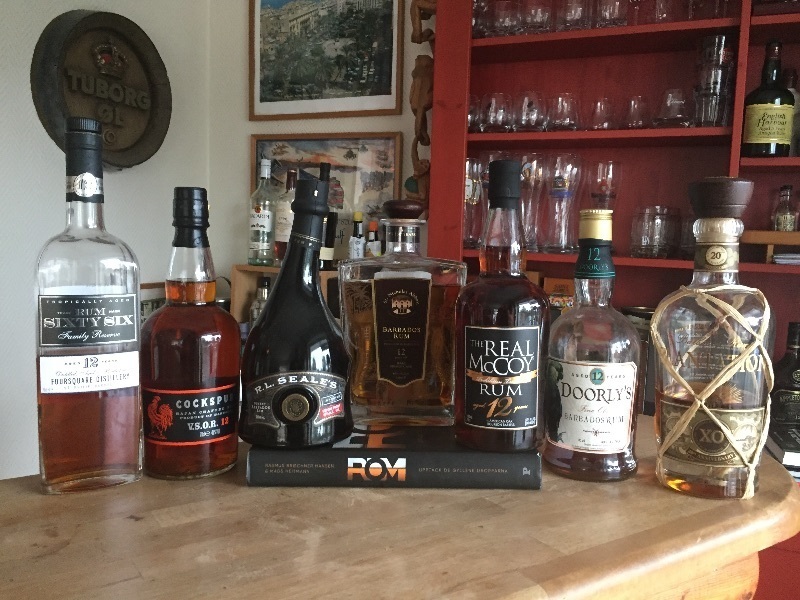 I think for the price there are better rums to be had. Nice rum with full bodied flavour, not as smooth as some other 12 year olds, but still nice to sip. Initially not blown away as it's £32+ in the UK, but the more I drink this rum the more I enjoy it. Slightly sour initial punch, too much for my taste. Then finishes with a rubbery finish and a hint of a surprising spice. An oily coating lasts for a little while. I sampled this at Foursquare in Barbados and then brought a bottle home. It is one of my favorite rums. This is not available in the states. Pick up many on your next trip to Barbados or the UK.